The importers and exporters worldwide are highly significant in keeping the global economic growth engine running. 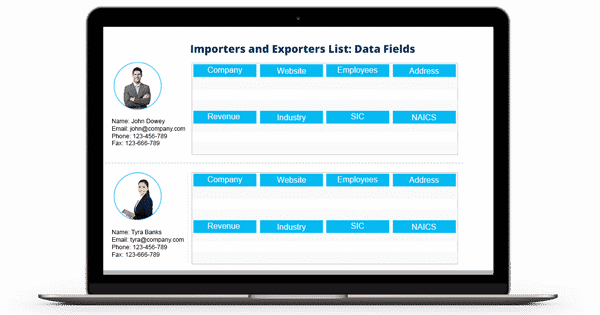 If you are a marketer who is looking for qualitative marketing database to connect with importers and exporters in a particular industry and region, Blue Mail Media’s International Importers and Exporters Email Database can significantly shore up your marketing efforts. Our Database gives you access to all relevant marketing information to reach out to your target audience via telephone, email and mail. Blue Mail Media’s Global Importers and Exporters Email List has been prepared to help you drive better response rate, conversion rate and ROI on your marketing investments. We have been able to build a strong network of data partners across regions such as USA, UK, North America, Canada, Africa, Russia, China, India, Europe, Australia, New Zealand and many others, which allows us to help you with highly reliable and accurate database of global importers and exporters. We regard the fact that all business organizations have unique set of challenges and opportunities and they cannot be served with a single approach. Therefore, we provide our clients and option to choose from our pre-packaged Importers Email Address List or get a customized list based on your campaign specific preferences.